Over the past several years, PACS support professionals have evolved from being “one does all” generalists into several different career paths with corresponding professional certifications. Depending on the strengths and preferences, as well as ambitions, of these health care imaging and IT professionals it is now possible to select one or more career paths to meet individual and organizational goals. Note that the careers described below are equally applicable to PACS administrators as well as PACS support professionals, such as biomedical engineers, service and support technicians as well as interface and workflow analysts, working either on the provider side or the vendor side. The different career paths have a foundation based on the basic skill set of clinical and IT knowledge, with additional specializations after that, which not coincidentally, have corresponding certifications. Clinical expertise which includes familiarity with the various body parts and body systems such as the circulatory, musculoskeletal, gastro-intestinal, nervous, endocrine, pulmonary and reproductive systems. The candidate should be familiar with the most common medical terms and imaging positioning, and know the workflow and appearance of the images created by imaging modalities such as CT, MR, DR, CR, digital mammography and breast tomosynthesis, US, RF, XA and IVUS and IV-OCT, NM, PET/CT and MR/CT. IT expertise including the basic hardware components such as storage devices (RAID, SAN, NAS) and software knowledge of MSDOS, Windows, UNIX, relational databases, image and data representations and networking technology. 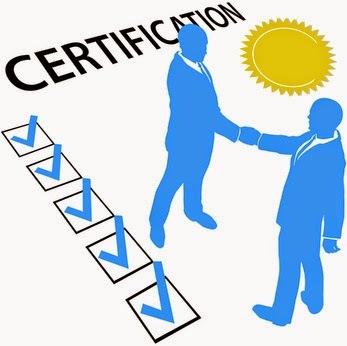 The first level of specialization is to expand the competencies into other specialties, enterprise imaging, workflow and in-depth knowledge of PACS architecture corresponding with the CPSA certification. In addition, these professionals are equipped to address image quality and other QA issues and have a little knowledge of DICOM and HL7, enough to do basic troubleshooting and configuration. They also deal with security and privacy issues for the imaging and informatics systems. They might manage radiology, cardiology, dentistry and other imaging systems that are situated in various departments. Some professionals expand into project management, coordination, and/or take on an extensive teaching role, which seems to be the area that CIIP candidates specialize in. In my opinion, CIIP by itself is not necessarily enough to do that job as it does not emphasize technical skills (for example, there is no requirement to know anything about HL7), however, it has a nice spread of generic requirements ranging from learning methods to health care delivery hazards, and creating and interpreting requests for proposals. A PACS system has many interfaces, not only to many modalities (there could be dozens of those in a typical installation), but also to a scheduling system, reporting system as well as an EMR. There could also be an enterprise solution for archiving involved, such as a VNA. An Interface analyst will manage and support these interfaces having competencies as defined by the CPIA certification. These professionals are intimately familiar with HL7 and DICOM data formats and protocols. They can use simulation tools and have access to a wide variety of test transactions and test images, and can use validation and test tools such as network sniffers to troubleshoot even the most tricky interface problems. Work with biomed and IT to make sure any new installation and device is properly evaluated by reviewing interface specifications, conformance statements and IHE profile definitions. In addition to the interface specialist as defined by the CPIA requirements, there is also a place for HL7 experts, specializing in the HL7 standards. These professionals are certified as a HL7 interface specialists and there are several types of specialists, covering version 2, version 3 and CDA. In the context of medical imaging, the version 2 certification is the most applicable. These professionals have a very detailed knowledge about the HL7 data formats. There is an emerging group of professionals that are called “medical informaticians.” Speaking with recruiters, these are the hottest jobs right now. Unfortunately, there is no certification (yet) that addresses this need, although the PARCA CHEA comes close. As a matter of fact there are no master’s degree programs in the US that I know of covering these specific requirements (Canada is ahead of the US in this regard). These are health care imaging and IT architects that assist an institution developing an enterprise (and beyond) imaging solution. Specify requirements for performance and throughput of any external connections to clinics, partners, third parties, for clinical trials, etc. In conclusion, as is obvious from the information above, there are plenty of growth opportunities for health care imaging and IT professionals. In my opinion, there is too much emphasis on how to change from existing PACS careers into other areas (witnessed by the SIIM tracks on “how to become the next CIO or COO”), while there are in my opinion plenty of opportunities to stay within this field of expertise and grow accordingly. There is definitely a need for professionals that understand the workflow and intricacies of the interface and data formats, especially now that there is so much emphasis on image exchange and image enabling of EMR’s. In short, the future is bright, especially for those who recognize the opportunities and possibilities for advanced certifications. I have taken a 4 -day classroom boot camp for my PMP preparation at http://www.pmstudy.com. I found it excellent as all courses are conducted in a high-class environment, with all study materials. Thanks to PMstudy.com, for my success!